With summer upon us its time to start planning that family road trip you’ve been talking about all year. You’ll want to spend some time mapping out your trip and all the stops along the way but before you pack your bags and fill the ice chest with juice boxes, take some time to get your vehicle ready for a safe and hassle-free drive. 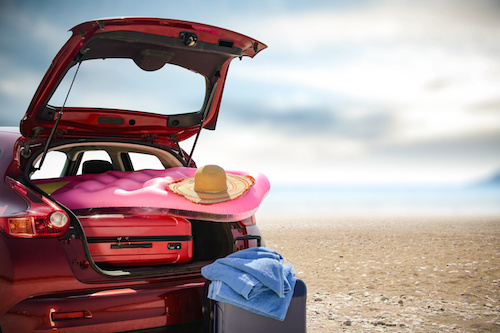 The National Highway Traffic Safety Administration (NHTSA) offers some handy summer travel safety tips to help you get the most out of your time on the road this summer. After checking for recalls your vehicle should be serviced. A quick tune-up, oil change, battery check, tire inspection and tire rotation will get your vehicle in top condition. Also ask your service technician to check the air conditioning, wiper blades, lights, spare tire, belts and hoses to keep your vehicle safe, comfortable and running properly. Our Toyota Dealer Service Center in Rochester offers all of these services and will get your vehicle ready for the long summer months ahead.